Sunday was a lazy day! It’s such a double edged sword…last weekend, we ran around and had a blast in the city, but I was missing some down time. This Sunday, was all about the down time and of course I felt guilty about using the cold wet weather as a reason not to leave my house. My day included… Me, the BOY, Cooper, and Netflicks…oh and few rounds of baking and laundry. All while in the comfort of my jammies. It was THAT kind of day! And it was wonderful! Monday, I woke up recharged and ready to burn off some energy. With the sun out, I knew I wanted to get out and run! Now this is my kind of running weather! I ran 6 miles along the path, along with my thoughts, and soaking up some sunshine. 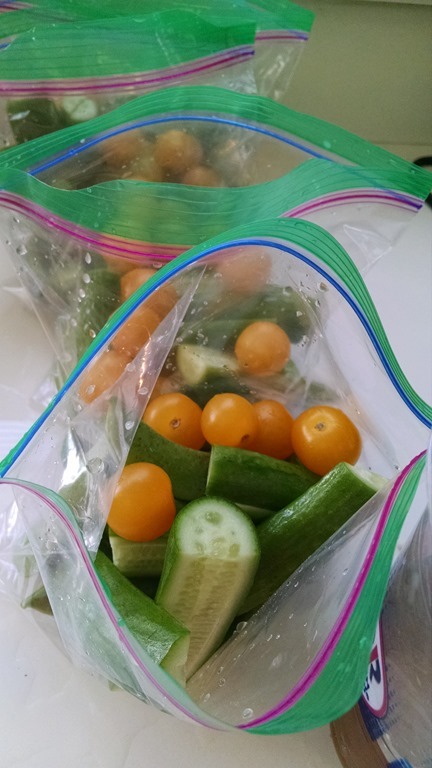 The rest of my day was typical Monday…grocery store, meal prep, and paperwork. I figured instead of starting of the week with what’s in my crockpot, I’d rather share these amazing cookies with you that I made yesterday. 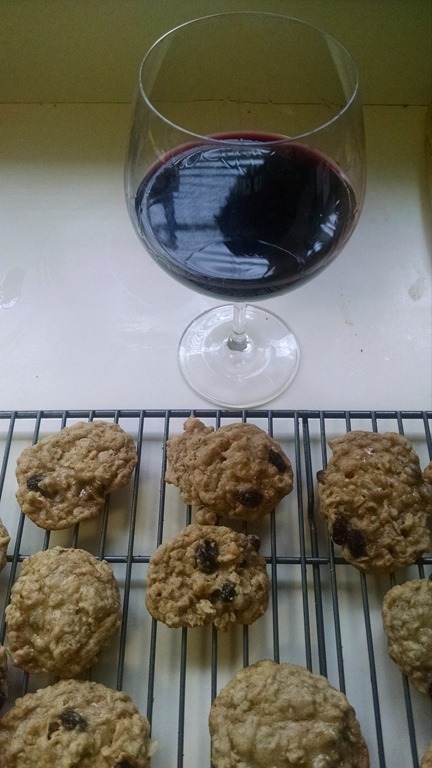 I had all the ingredients on hand, and so in between episodes of Scandal, I ran back and forth to the kitchen to whip up the BOY’s favorite cookies! They are super sweet and will start your Monday off right! 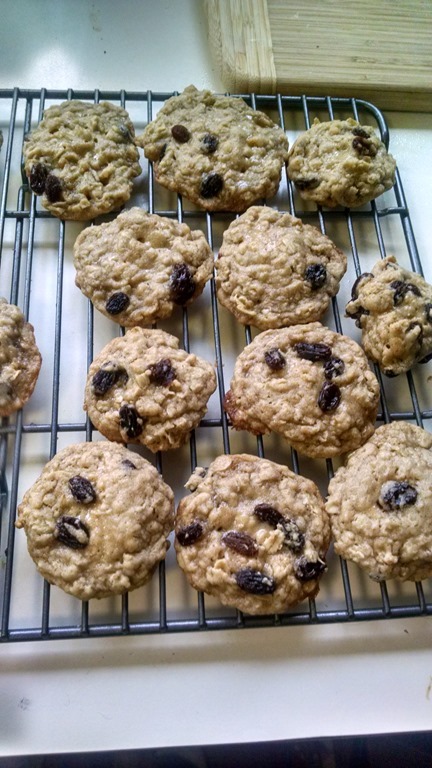 First, you put the raisins in a small pan of water uncovered and cook till puffy. Put in strainer to drain and cool. Cream and beat together (using electric mixer) the butter, brown sugar, and eggs. Mix together the flour (unsifted), soda, baking powder, cinnamon, oatmeal and add to the creamed mixture, using beater to mix. With a spoon, mix them in ever so lightly. Drop by teaspoonfuls on lightly greased cookie sheets or Silpats. Bake them at 350 degrees for 8-9 minutes. Take them out before they get brown! Cool for a couple of minutes on the cookie sheet before transferring to waxed paper to cool completely.